The Sugden Park Plaza eatery 21 Spices is known for serving classic Indian cuisine with a twist. Restaurant menu items offer a modern take on time-honored staples that are heavy on authentic flavor. Owner and chef Asif Syed (formerly named as Tampa Bay’s Curry King) has spearheaded the direction of 21 Spices since its opening in 2015. 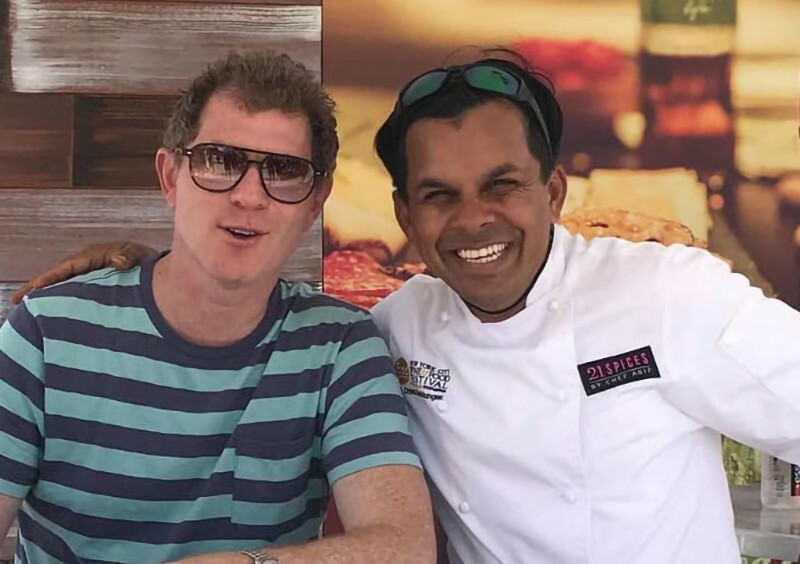 Now, Syed is taking on a new culinary adventure as he goes head-to-head with internationally renowned chef Bobby Flay. Each half-hour episode of Beat Bobby Flay begins with two chefs competing to create a dish using an ingredient chosen by Flay. Following the evaluation of each chef’s dish by a panel of judges, the winner moves on to the second round, in which he or she battles against Flay. In an attempt to level the playing field, the visiting chef has the advantage of preparing their chosen signature dish. Flay is required to cook a version of the same dish, which remains unknown to him until competition time. To celebrate the chef’s third (and most recent) appearance on the Food Network, Syed will host a public viewing party at 21 Spices on September 20, featuring a special four-course dinner. For the most up-to-date details regarding the viewing party, visit 21 Spices on Facebook. NI Tip: For those who choose to tune in from the comfort of their own homes, Syed will be featured on the episode entitled “Chop of the Mornin’ to Ya.” It will air on September 20 at 10 p.m. and September 21 at 1 a.m.